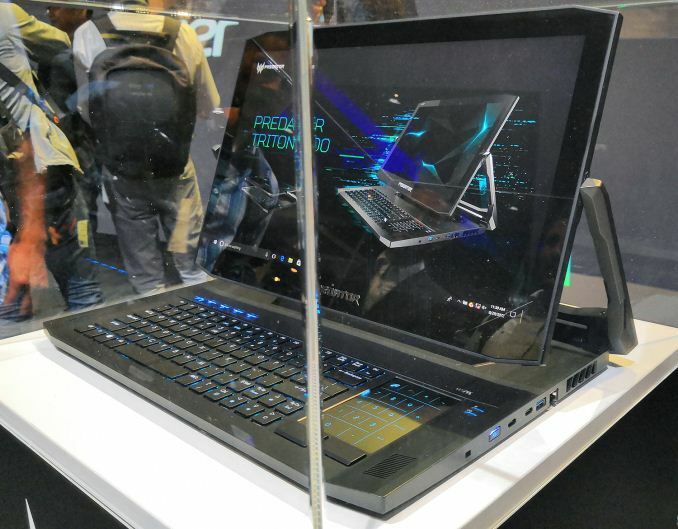 Acer showed us last week it’s up and coming Ulta High-end convertible gaming laptop, the Predator Triton 900 Notebook. This high performance PC uses a convertible form-factor even though Acer had only experimented with entry-level and mid-range convertible gaming laptops in the past. The Predator Triton 900 comes powered with a 17-inch ultra HD (3840×2160) full display which supports NVIDIA’s G-Sync dynamic refresh rate. The LCD is attached to a CNC-machined hinge that can hip it into arious modes, including laptop and tablets. As high power as it can be, the device has a programmable mechanical keyboard instead of unorthodox location in order to enable better cooling for high TDP components while retaining a relatively low Z-Height. 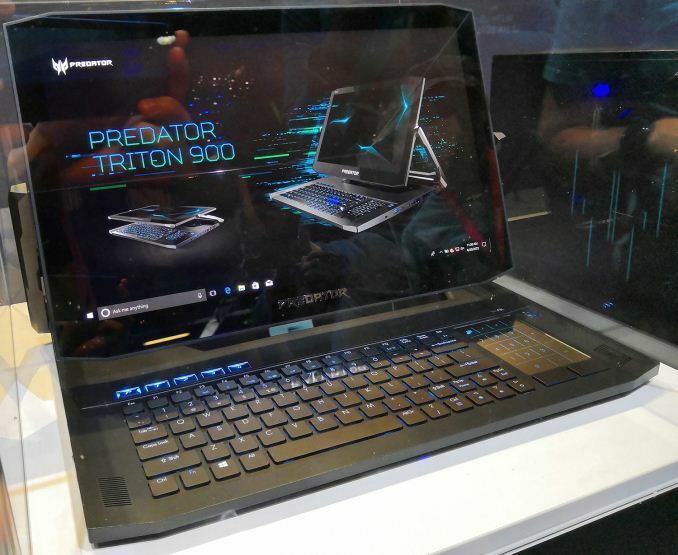 Although Acer never disclosed what Processor or Graphic chip that will be used within the Predator Triton 900 based on all the efforts with the form-factor and it’s cooling system. But Based on assumptions, it might be agreeable to say the device will feature something like the Intel’s Cor i7 or Core i9 with overclocking capacity along with an NVIDIA’s Ge-Force GPU. Also, the Predator Triton 900 looks very beautiful and standard. Wi-Fi and Bluetooth might be means of connectivity for the computer. The device has Thunderbolt 3 Port, one USB Type-C header, two USB 3.0 Type-A connectors, two Display outputs(HDMI and a DisplayPort), Gigabit Ethernet and two 3.5mm audio jacks. There is also a mysterious bay on the left side of the laptop that could be a compartment for a 2.5-inch storage device or an add-on card, but we cannot confirm the nature of this bay just now. 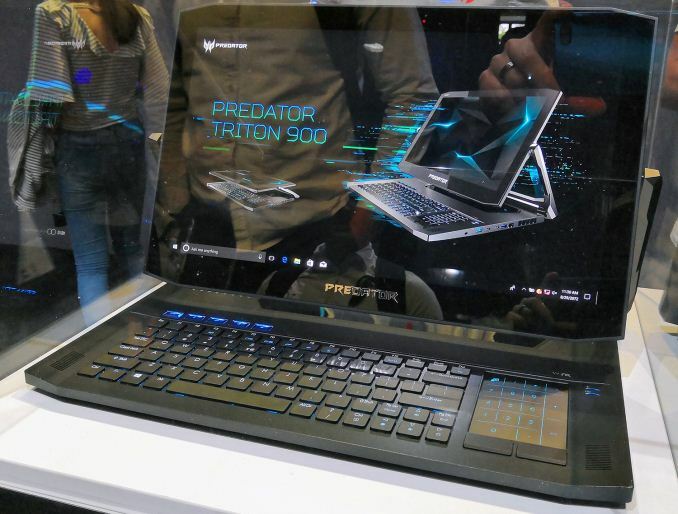 ALSO note that Acer didn’t tell how much this piece of tech will cost or even an ideal timeframe for the Predator Triton 900 notebooj. But we expect the powerful computer to be released just as it’s been demonstrated at the IFA in the US. But instead of hurrying, the device considering what must go through it to make it that jigh power and the required works and history Acer had always had for showing prototype devices, the Triton 900 might hit the market in 2019 but the first market will most likely be the US while other markets will follow suit.